So you’re interested in growing bell peppers! We find bell peppers in red, green, yellow and purple, plus they are loaded vitamin A and C.
Another nice fact is that the crop cycle is not very long. In fact, you can harvest them in about 10-12 weeks with multiple peppers per plant. Gardening beginners can’t go wrong with growing bell peppers. Anyone can achieve great results with occasional watering and some extra care. In this article, we will share expert advice on growing peppers. This content also includes information on storing and consuming your harvested fruits. Read on to learn more. Even though it appears green and red bell peppers come from two different kinds of plant, this is not the case. Red bell peppers are just ripe green bell peppers just like in tomatoes. Most people prefer the taste of a red bell pepper because the extra maturing time allows them to develop a higher level of vitamin C.
When growing bell peppers, always keep the climate in mind. Other factors to consider include speed of growth, ability to bear fruits and development. In addition, a gardener must not forget about the remaining time to plant peppers. The crop can be harvested either as green peppers or be left alone for some time until it turned into red. If you like yellow bell peppers, try the Golden California Wonder. 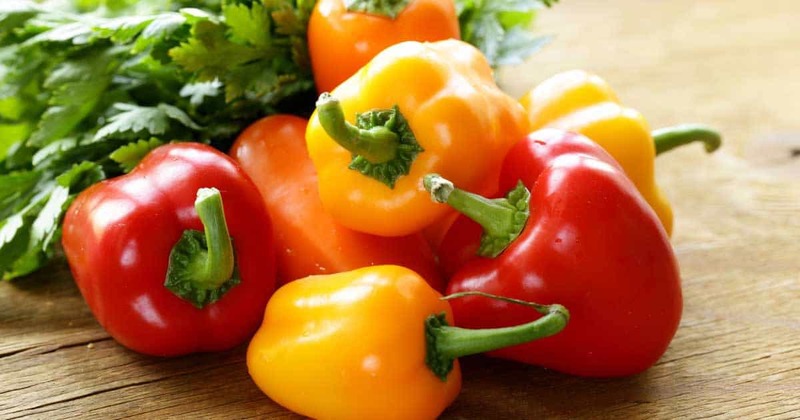 Although they fall under the same species capsicum annuum, bell peppers of any color belong to the sweet bell peppers or sweet peppers category. Hot pepper lovers must try a different type of peppers. You should not plant the bell pepper seeds directly outdoors unless you live in the deep southern part of the US. As they need a longer growing season to reach maturity, plant the seed indoors and let them stay there for two months. Furthermore, do not transfer the seeds to the vegetable garden until two or three weeks after the last frost. Read on to learn more about how you can grow bell peppers. Most types of bell pepper seeds will sprout within a week of planting if kept at warm temperatures (70-80 degrees) with ample sunlight, a good growing medium and the right amount of water. But before they sprout, hydroponics or making use of soilless culture leads to a good start in growing bell peppers. Place the seeds in damp paper towels sealed inside a plastic bag to make them sprout quicker. Keep the bag in a warm place such as the top of a refrigerator. After you grow peppers in a couple of days, transfer the seeds to peat pots or DIY starter pots for seeds using a light, sterile seed starting medium. When transplanting to peat pots, crowd them a little bit. Start out with three in each starter pot and thin out the weakest one after the first true leaves start to appear. Leave the other two together permanently. Two pepper plants growing together may help protect the fruit from sunscald with their combined leaves. This method significantly increases your yield. In fact, keeping the two plants together gives you two times more bell peppers than planting them apart. You can also grow them in group quarters. Maintain the pots in a warm place with bright, indirect light to avoid burning the tender, young seedlings. When the seedlings develop their first true leaves, move them to a sunny setting. A southern window should give enough ample sunlight for optimum growth. Remember tender crops like bell peppers need warm weather to live. To protect your seedlings against the chill, maintain the moist of seed starter medium by watering them regularly. Turn the plants every couple of days to promote balanced growth. Keep a close eye on the weather forecast and monitor the soil temperature. When the last predicted frost has passed, and the soil is reliably between 55 and 60 degrees overnight, you can begin transplanting your seedlings to the outdoors. To transition your seedlings for the outdoors, you will need to “harden them off.” Ten days before planting, place them under a shade outdoors for a few hours during the warmest part of the day. Do this for a couple of days and then move them to an area of light shade. Gradually increase the amount of exposure to sunlight before transferring the seedlings to a sunny area. This slow transition to a greater amount of sunlight ensures success in growing bell peppers. Moving them outdoors too quickly will wither most of them due to shock. If you don’t have the space to grow seedlings indoors or you get a late start, purchase the seedlings at a local garden center or online. Local gardening clubs provide bell pepper seedlings in varieties that are sure to do well in your area. When you get your seedlings from another local gardener, you can also enjoy the benefits of expert advice and other details you haven’t heard about. Because bell pepper plants appear attractive, and their fruit looks quite festive, you may wish to mix them with ornamental for an interesting and unusual appearance. These plants like lots of sun, light and sandy loam soil giving good drainage. Choose a setting for your pepper bed that gets at least six hours a day of bright sunshine. Incorporate a generous amount of organic material into the potting soil for adequate nutrition. Fertilize the pepper bed soil one week before the transfer of seedlings. A slow release commercial fertilizers could help, but naturally, an aged compost would be better. Keep your paired plants together during transplant, but leave about a foot-and-a-half of space between the pairs for ample room to grow. Maintain the soil warm as tender young pepper plants cannot survive nighttime temperatures lower than sixty-five degrees. In areas where winter lingers, warm up the soil by covering it with row covers or a black plastic mulch. It also guarantees warmth in the case of an unexpected cold snap. When you transfer your seedlings, give them a boost of nutrition by dropping two matchsticks and a teaspoonful of organic fertilizer in the planting hole. The matchsticks provide a healthy dose of sulfur which is good for the plant. For the medium in growing bell peppers, use a soil mixture abundant with organic matter. A well-drained soil provides balance as it stays lightly and evenly moist. Grow pepper plants on a thick layer of mulch to help retain just the right amount of moisture in the ground. Peppers need a consistent supply of water, but they should never be allowed to become waterlogged. It takes a lot of water to produce tasty, juicy bell peppers, so you must supply a moderate but steady supply of water throughout the life of your plants. Keep an eye on the amount of water flowing through as bell peppers can’t thrive in soggy soil. You should provide one to two inches of water once a week. Be vigilant, though as if you live in a humid and dry area, your plants may need water more often. In a desert setting, daily watering may be necessary. Adding organic material to the soil beats making use of a slow release commercial fertilizer. Organic matter feeds the plants and helps condition the soil so that it drains well and simultaneously retains the right amount of water. Fish emulsion usually serves as an organic fertilizer. You can get a concentrated formula from a local hardware store. Mix it with water and apply it to your pepper plants for a boost of nitrogen. Mulching prevents loss of moisture through evaporation. A good layer of mulch will also help keep the soil at a consistent temperature. Choosing organic matter over commercial fertilizer can be a good thing for your pepper plants. One of the known reasons is commercial preparations may be too rich for your pepper plants. Over-fertilizing may only provide you with beautiful leaves and no fruits. For commercial fertilizer users, a small amount of 5-10-10 added at transplanting time will be enough. Avoid giving too much nitrogen as this may result in a poor fruit set. If your plants seem hungry, give them a little side-dressing of fertilizer when they begin to blossom. Also, conduct foliar fertilizing for extra nutrients. On the other hand, spraying your plants with a mixture of one gallon of water and one tablespoon of Epsom salts will help increase fruit size. Provide this treatment when your plants start blooming. Repeat it for ten days. Consistent temperature is essential for steady pollination. Additionally, pollination may decrease if the temperature drops below sixty degrees or climbs above ninety degrees. Plastic mulch helps keep the soil temperature warm in areas where spring arrives in late. A week before transplanting, apply a thick layer of polyethylene mulch. Darker colors attract and hold heat best. Your bell pepper plant could suffer from damage if loaded with fruits. Make use of tomato cages to support the stems. Use discarded nylon stockings to hold the plants in place. Due to its full, soft and stretchy quality, nylons make a great choice in carrying bell pepper plants. As your plants grow, the nylons will provide a good backing for the stems. Due to being non-flexible, use of twine or twist-ties won’t provide enough security. They cannot stretch to give enough support for the stems and space for growth as peppers grow extra roots. In growing bell peppers, prepare a resilient post for the plant to lean on. Bell pepper plants can resist many diseases and pests. However, they may encounter the same ailments which also plague other members of the nightshade plant varieties such as eggplants, tomatoes, and potatoes. Pests such as aphids and flea beetles may infest your bell peppers. On the other hand, diseases such as blossom-end rot and cucumber mosaic virus will also affect their growth. Use the good bacteria, Bacillus thuringiensis (Bt) to combat destructive caterpillars such as borers, cutworms, corn earworms and large green tomato hornworms. This caterpillar-specific remedy will not harm friendly fauna in your garden, except butterfly caterpillars. Use Pyrethrum or Rotenone pesticides against pepper maggots, leafminers, flea beetles, weevils, and aphids. Apply these pesticides with care to avoid killing off insects that would help in growing bell peppers. Insects such as ladybugs can help you get aphids and other pests under control. Another efficient and inexpensive solution would be creating your own insecticidal soap. Spray it directly to a harmful insect or to the leaves of your bell pepper plants. Homemade soap insecticides are safer to use and won’t harm beneficial insects. What To Do About Diseases? Grow pepper plants with resistance against several diseases. Knowing this will help if fungus and bacteria already contaminated the soil in your area. Ask your County Extension agent, gardening clubs or neighbors with a beautiful garden to be sure about it. Plant viruses can quickly pass from one host to another in a muddy or watery setting. To prevent the spread of diseases, avoid working in your garden if the soil is muddy or if the plants are wet. Additionally, do not tramp on a wet ground to prevent having a compacted soil. Weeds must be kept under control as it serves as a perfect habitat for pests. Moreover, weeds can harbor disease and fungus could decimate your bell pepper. Apart from providing pests a good place to hide, weeds also steal nutrients from surrounding plants so pull them out immediately. After eight to fourteen weeks of care, the most exciting part of growing bell peppers has come. Time for a bountiful harvest! You can harvest your fruits whenever they get big enough to eat. In fact, farmers usually harvest this type of pepper prematurely. Green bell peppers are delightful to eat, but they are still unripe. If you leave them on the plant a little longer, you will get the benefit of sweeter, richer flavor, deeper color, and better nutritional value. The drawback of leaving your bell peppers on the plant to ripen is this practice reduces your harvest. If you collect very frequently, your plant will only keep on producing fruit. If you leave the fruit in place, your plant will not strive to bear more. Naturally, if you wait to harvest all your peppers, you will be without peppers for a while. Otherwise, you will stock more peppers than you know what to do with! At this point, experts recommend plenty of pepper plants. Harvest from some plants on a regular, ongoing basis and leave others to mature so that you will reap something special to enjoy late in the season. When you pick your peppers, be sure to cut through the stem cleanly rather than pulling the fruit off the plant. If you just harvest by hand, you could break branches and damage your plant. Always use sharp scissors or knives as a clean cut will help reduce the amount of damage to your plants. 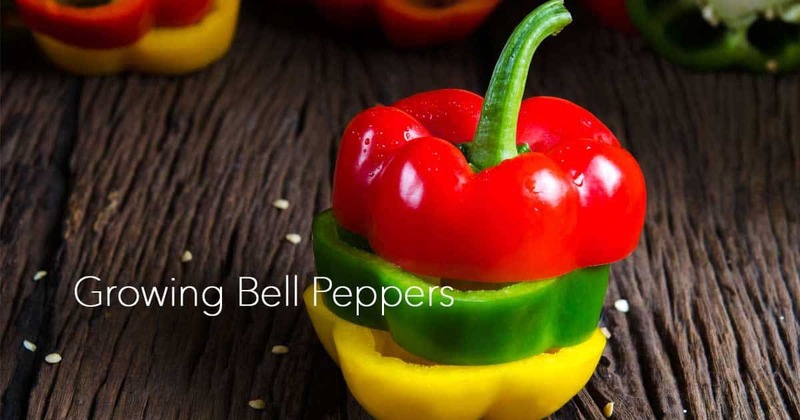 Either you will do this for business purposes or fun of growing bell peppers, at some point, you will yield into tasting the fruit of your hard work. Fresh, ripened or dried, have it your way! For the best flavor and maximum nutrition, eat the bell peppers after harvest. Keep the bell peppers out in the open at room temperature within 24 hours in duration. A basket or coarse cloth would provide well for air circulation. The best way to enjoy a sweet bell pepper is to eat it fresh. A green pepper has a good and refreshing taste. However, a red bell pepper has a richer flavor. Leave the green pepper in the open air in a coarse cloth or basket until they become ripe. Turn the green pepper occasionally to avoid soft spots from developing. You will notice some changes in color after a couple of days. The amount of time spent before eating the bell peppers may cause a slight decrease in vitamin C. However, the increase in flavor is a nice trade-off. For longer term storage, keep the bell peppers in your refrigerator for a maximum of two weeks. To prevent mold and soft spots, wrap each fruit individually in a paper towel and them in a plastic bag. Finally, store the bag in the vegetable keeper of your refrigerator. To enjoy dried bell peppers, start with washing the fruits, removing its core and taking the seeds away. Cut the flesh into strips half an inch wide and steam for approximately ten minutes. Afterward, spread the strips on a cookie sheet. Place the strips of bell peppers in a warm oven (140 degrees). Check it occasionally and turn the cookie sheets to ensure even drying. When the pepper strips are brittle, the process is complete. Finally, remove the peppers from the oven and allow them to cool thoroughly in the open air. You can store the dried peppers in sealed glass, metal or plastic containers, or plastic bags. Someone who likes a hot pepper would appreciate it dried for a smoky and intense taste. Also, dried hot peppers get often pulverized to create the best pack of chili powder. If you happened to collect a huge harvest, you can freeze bell peppers. They will lose some texture, but they will still be good for cooking. To freeze, you would prepare the peppers as you would for drying. You can get them cored, seeded, and sliced into strips. Afterward, spread them out on paper towels to wick away excess moisture. Line a cookie sheet with waxed paper and lay the pepper strips out, not touching. Place the cookie sheet in your freezer for a few hours until the strips become stiff. Package them in a sealed plastic bag or container. Store the container in your freezer. If this sounds like too much work, you should know all these exact steps are intended to help the peppers retain some of their appearances. If you just plan to use your frozen bell peppers as a seasoning in stews and casseroles and the like, you can only clean them, chop them up and freeze the pieces in plastic bags in the freezer. If you like stuffed bell peppers, add stuffing in advance and place them in the pan in which you will cook them. Cover it with freezer wrap and freeze the whole thing until you are ready to cook it. For hot pepper lovers, you may add a cayenne or any hot pepper varieties inside the stuffing. You can pickle bell pepper strips using a standard cucumber pickling recipe. Also, try simple refrigerator pickle recipes if you intend to eat up your pickled peppers quickly. This may last for weeks, months or even a year. Farmers who worked hard growing bell peppers would like their green or red peppers to remain sweet. Although green pepper already tastes sweet and the red pepper comes with a stronger flavor, they need enough supply of water to maintain their sweet taste. Otherwise, they go bitter even when they become ripe. Some varieties like these of bell pepper may taste sweeter than the others. Orange and red pepper possess more refreshing sweetness than purple and brown peppers. The pH level also plays a role on the outcome of taste. The soil must remain acidic with pH level from 5.5 to 7.0 for the fruits to stay sweet. Garden owners must conduct soil tests to ensure that the ground has good growing conditions. Growing bell peppers makes a great planting choice for new gardeners. Bell peppers take up tiny garden space, grow easily, add colors to a garden, and give more flavors to dishes. Growing pepper plants in your vegetable garden provides you with a lot of experiences about gardening. Once you improve, there is almost no end to the pepper varieties you can explore!